Model DG 35 Manual Table - Compact self-contained hydraulic system with full tonnage throughout the entire stroke. 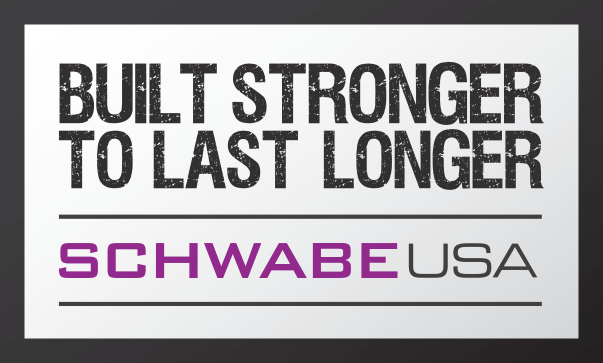 SCHWABE USA - Hydraulic Up-Stroking Cutting Presses are versatile machines and are designed, engineered and assembled in Cincinnati, Ohio USA. Bed Sizes range from DG 30” x 34” & DGHD 40” x 40”. 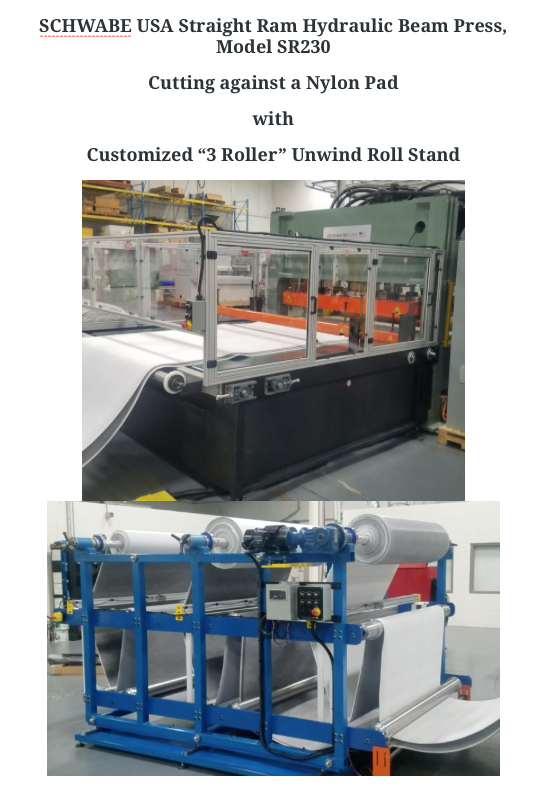 The SCHWABE USA Model DG and DG-HD with up-stroking capability is ideal for inverted cutting and hand placed tooling and is also suitable for vacuum formed plastics, blister packs, rubber (and other sheeted products). Models DG and DG-HD (heavy duty) have a small efficient manufacturing foot print, yet are extremely powerful and rugged. The sturdy box frame construction provides minimum deflection and are quick, easy to operate. 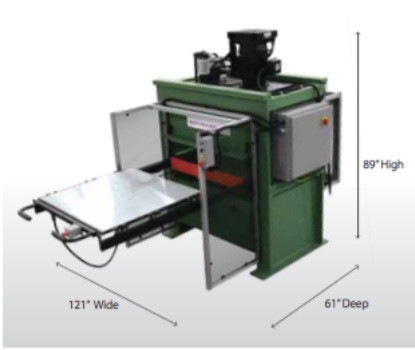 Requires minimal maintenance and represent the lowest ownership cost of any die cutting press in this size. Controls - Internally transformed with two hand, anti-tie down push button for activation. Ideal materials include, but are not limited to: various textiles and non-woven materials, foams, synthetic fibers used for insulation and sound dampening properties, vacuum formed plastics, blister packaging, rubber, leather, spacer mesh, magnets, corrugated materials etc. SCHWABE MODEL DG-HD is ideal for kiss-cutting applications due to heavy duty weldment design, With the hydraulic power unit located on the head any possible contamination is greatly reduced. The Schwabe Model DG-HD is clearly the choice of the food and medical industries!